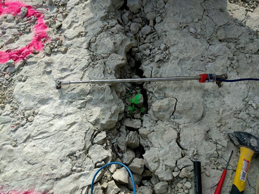 An effective geotechnical instrumentation system can provide valuable and timely information of the geo-structure performance, enabling owners, construction managers, and engineers to make timely decisions regarding construction, long-term performance, and construction safety. 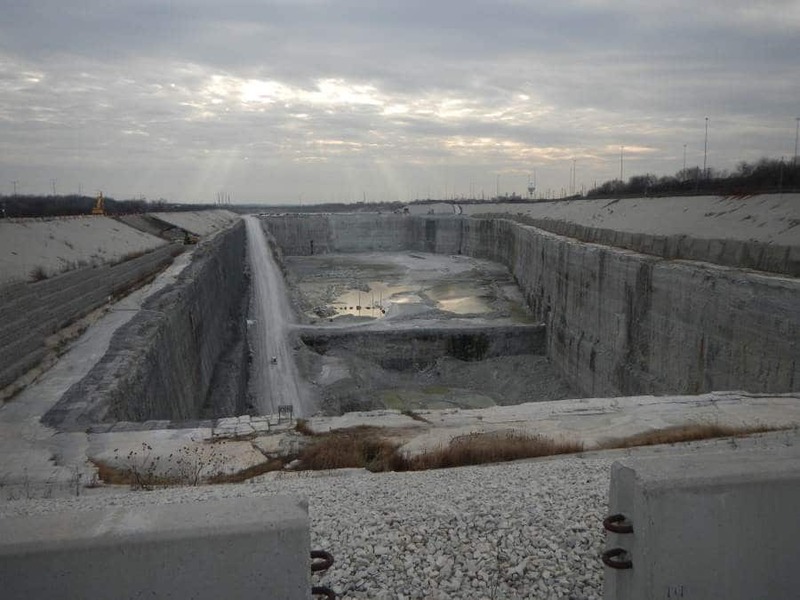 Terracon is currently working on many geotechnical instrumentation projects across the country, both large and small, including the McCook Reservoir project in Chicago, Ill. The ongoing McCook Reservoir is a 10 billion gallon watershed at the Metropolitan Water Reclamation District of Greater Chicago’s facility located in La Grange, Ill., and is expected to be completed in 2027. The reservoir measures approximately 1.1 miles long, 300 feet deep, 500 to 900 feet wide and is being quarried in two stages. The project will help manage the combined sewer (sanitary and storm) overflows (CSO) that have occurred at times and caused flooding and watercourse contamination in the Chicago area. When complete the project will provide more than $114 million per year in flood damage reduction benefits to more than 3 million people in 37 communities. To monitor the performance of the cutoff walls, grout curtains, overburden slopes, retaining walls, and rock wall stability, the United States Army Corps of Engineers (USACE) has installed an extensive instrumentation system across the project. This work was done by various firms since the start of construction in 2008. Terracon began work on the project in 2014. Our task was to consolidate, upgrade, and make adjustments and additions to the existing instrumentation system which currently consists of approximately 135 sensors spread out between 14 locations. The alarm system monitors the crackmeters along the fractures at the top of the quarry walls and can warn the workers onsite of movement so they can safely evacuate the work area below. The instrumentation system includes a wide range of geotechnical sensor types including in-place inclinometers, piezometers, time domain reflectometry (TDR) cables, single and multi-point extensometers, crackmeters, webcams, and a weather station. All of the sensors are connected to one of the 14 datalogger locations which transmits data by wireless to a base station which then connects via a cellular modem to the Internet. Terracon’s tasks included replacing extensometer sensors, installing crackmeters, removing/adjusting/reinstalling 200+ foot long in-place inclinometer strings, construction of protection around the extensometer heads, and relocating dataloggers to higher elevations so they will be above the future reservoir high water level. In partnership with a specialty contractor, our team assisted in the installation of a cellular system, alarm system, and the creation of a hosted database and website to view the data. The additional instrumentation installed and upgrades performed by Terracon has allowed the USACE to obtain reliable, real time information on the performance of the McCook Reservoir. David Westendorf, P.E., is a senior geotechnical engineer in our Cincinnati office with 10 years of engineering experience. He has planned and implemented geotechnical instrumentation programs for geo-structure performance monitoring during and after construction. This includes slopes, retaining walls, high rise towers, harbors/seaports, highways, and pipelines among others.